To ensure your day is truly special and memorable, there are a number of finishing touches available for you to hire from us. 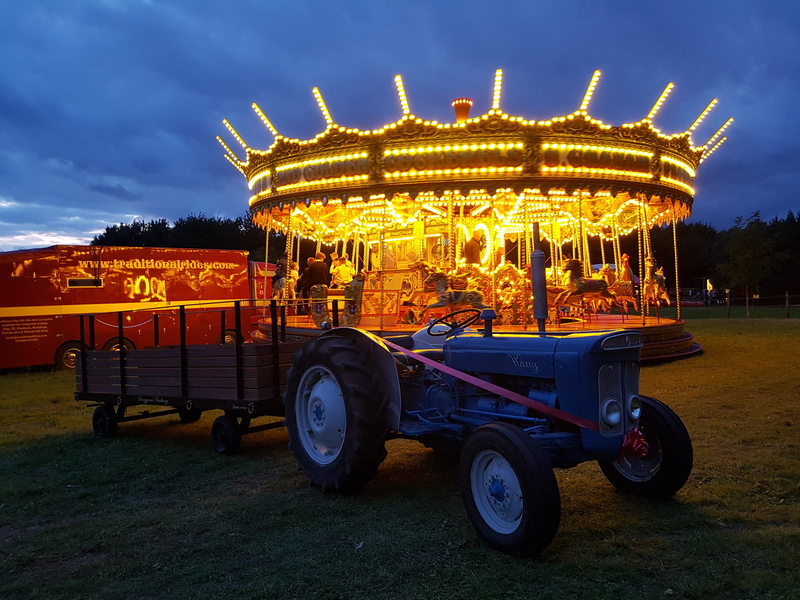 For the ultimate wow factor, you can hire this stunning traction engine and trailer to give rides to your guests around our estate. Offering truly unique photographic opportunities and memories, this is definitely the icing on the cake. 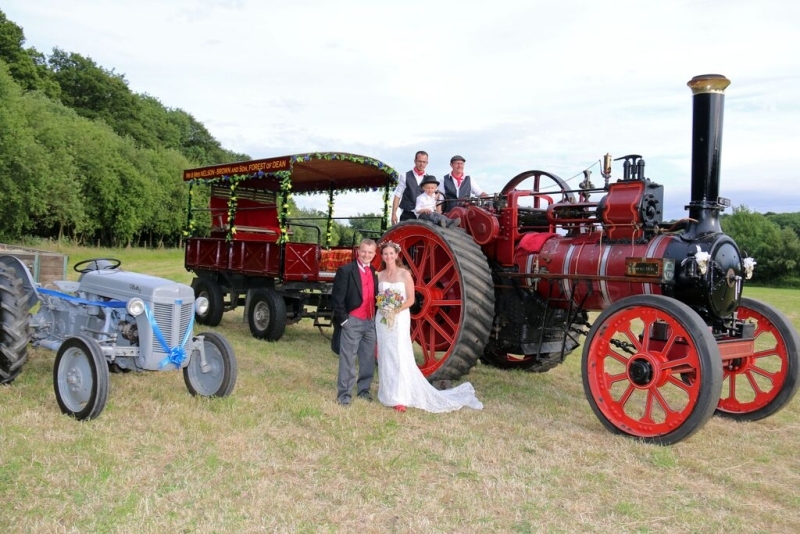 Having the traction engine and trailer at your special day, will certainly be a talking point for many years. Serving afternoon tea is becoming increasingly popular. It’s a great way to keep your guests happy and busy, while you and your wedding party can relax with the photographer to capture all those special moments. 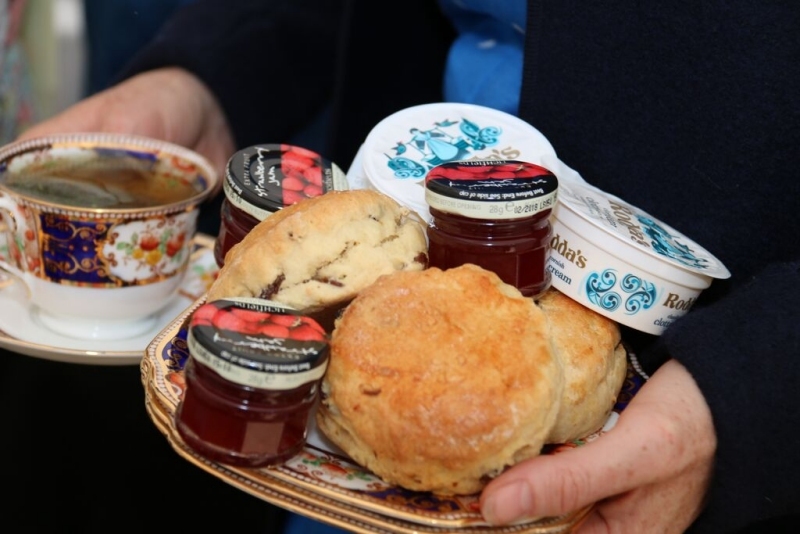 We offer three different options; Cream Tea with scones, cream and jam / High Tea with scones, jam, cream and cakes or Afternoon Tea with scones, jam, cream, cakes and sandwiches. Both plain and fruit scones are offered. We offer this as an extra service at your wedding and we can cater for up to 60 people for afternoon tea. Serving ice cream at any wedding is a definite hit with both old and young alike. We can serve you and your guests for a 2 hour slot during your reception. We use the very delicious Marshfield ice cream and we will provide everything needed to serve the ice cream – all you have to do is pick the flavours! 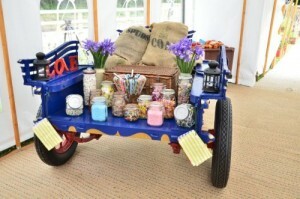 If there are going to be children coming to your wedding, then our candy cart is a must. It’s an original horse drawn cart that has been lovingly restored for the weddings market. Again, this is a magnificent talking point as it’s completely different to any other candy cart that you would normally have at a wedding. It’s also a lot bigger so makes a true impact on your guests as they enter your venue. We provide the jars, sweet scoops, tongs, paper bags on string, picnic basket, coal sacks and flowers for decoration. You can either fill it with your own choice of confectionery, or we can provide this for an extra cost. 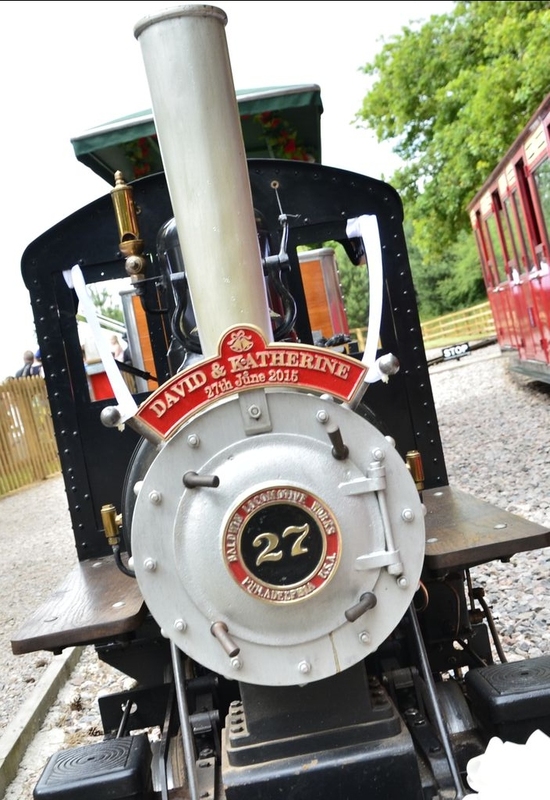 Why not have your very own personalised headboard made for the front of the engine? It’s a great talking point for your guests, as well providing an extra photograph opportunity. We paint them by hand to your chosen colour scheme. And best of all you get to take it home with you at the end of the day for a truly unique keepsake. 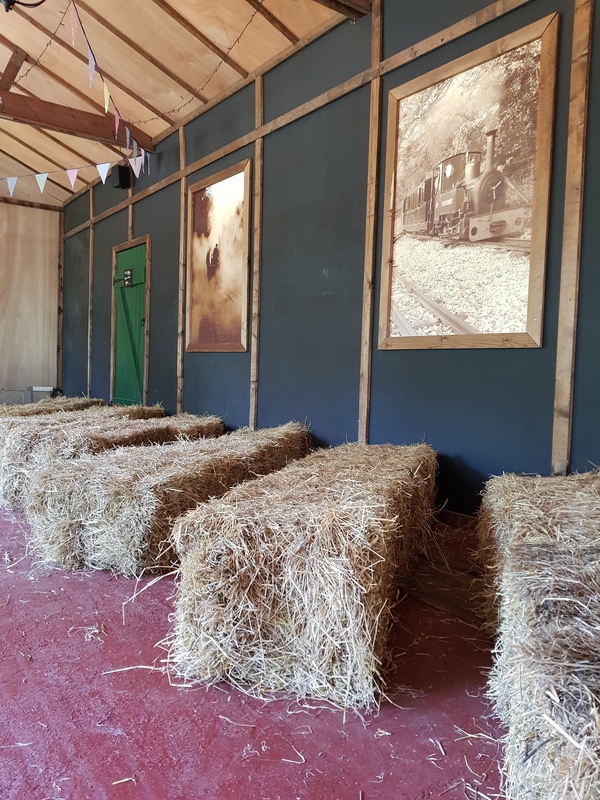 Armed with a key, treasure map of clues and a whole heap of fun ahead, you can explore the whole of Perrygrove on the train, or through our woods, to hunt for clues and then unlock your box of treasure. This is sure to be a huge hit with any child guest; a few adults have been known to enjoy it too! These lanterns make a huge difference to the site when its dark. Not only do they add extra light, it’s very atmospheric and in keeping with the Perrygrove wedding theme. This will really add the wow factor to your wedding and create a great focal point in the evening. It also provides a lovely source of warmth and light. It is usually light around 7pm and we will manage this for you throughout the evening. 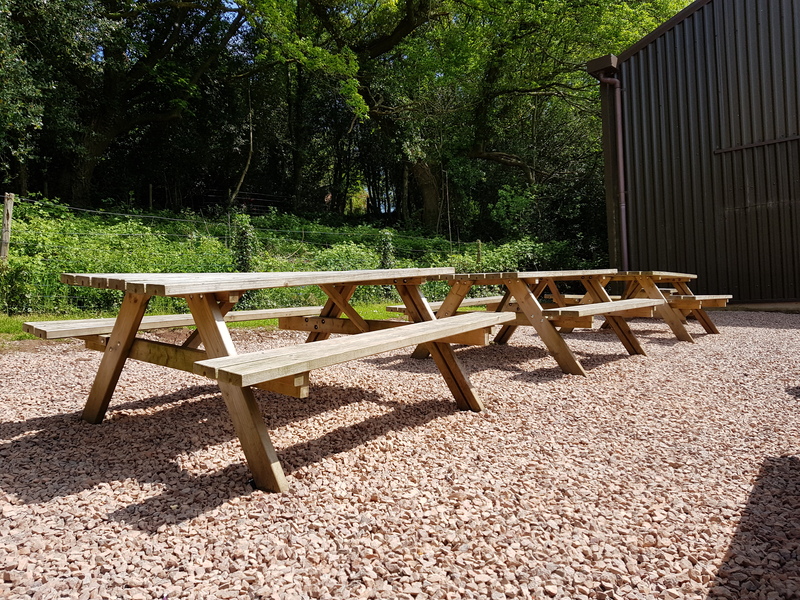 You can hire picnic benches from us to provide extra seating for your guests. These are a popular addition. 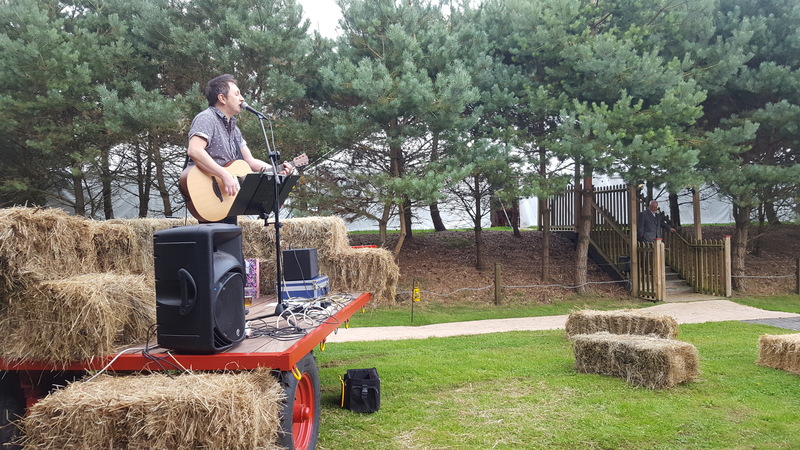 We can provide hay bales to either location – they make great extra seating and add that country feel to your special. One wedding used hay bales as the seats for their ceremony – it looked lovely! We have our own material bunting that you can hire from us. See the pricing page for more information. This is hugely popular these days. It gives your guests something to do, provides fantastic photograph opportunities and is a real talking point for years to come. 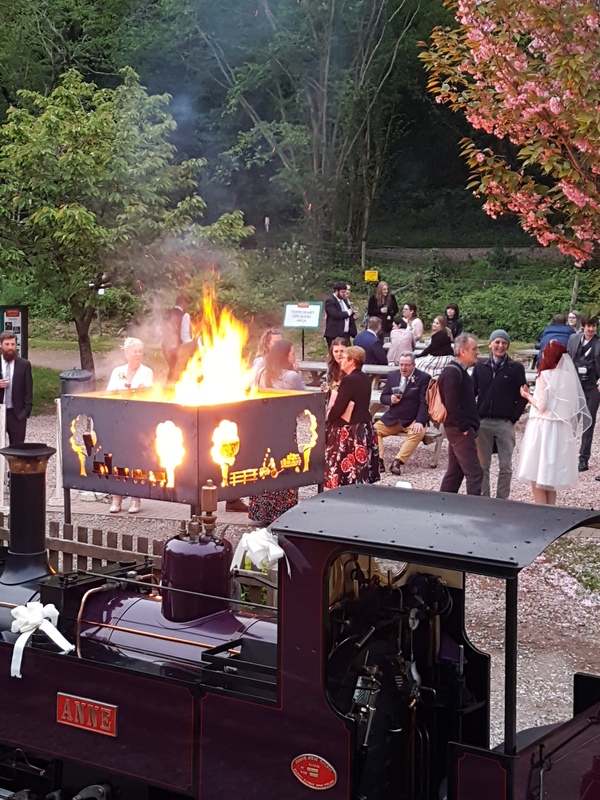 Located in the beautiful Forest of Dean, Perrygrove is a family run tourist attraction, set in 22 acres of farmland and ancient woodland. We work very closely with a highly skilled catering company which is based only five miles from us. Catering from 10-350 people there are a number of different options you can choose with them. 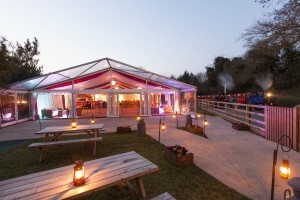 Our varied range of distinctive extras, are sure to make your wedding stand out from the rest. Make it a day to remember and book one or all of these!